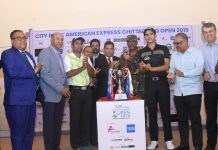 India’s Rashid Khan powered ahead by two shots after firing a second round of six-under-66 at the City Bank American Express Chittagong Open 2019. 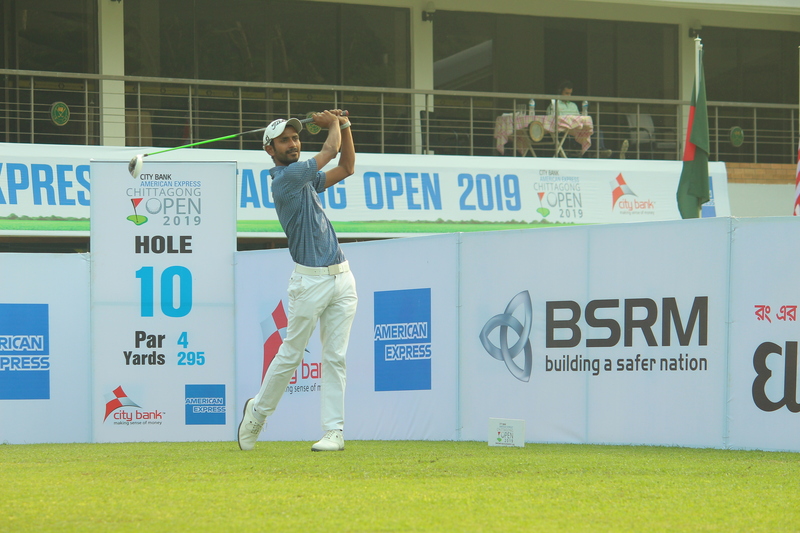 Two-time Asian Tour winner Rashid, the overnight joint leader, took the sole lead at the Bhatiary Golf & Country Club on Thursday as his total moved to 13-under-131 at the BDT 47.40 lakh (INR 40 lakh) event. Indian teenager Kshitij Naveed Kaul too carded a 66 and as a result moved into second place at 11-under-133. 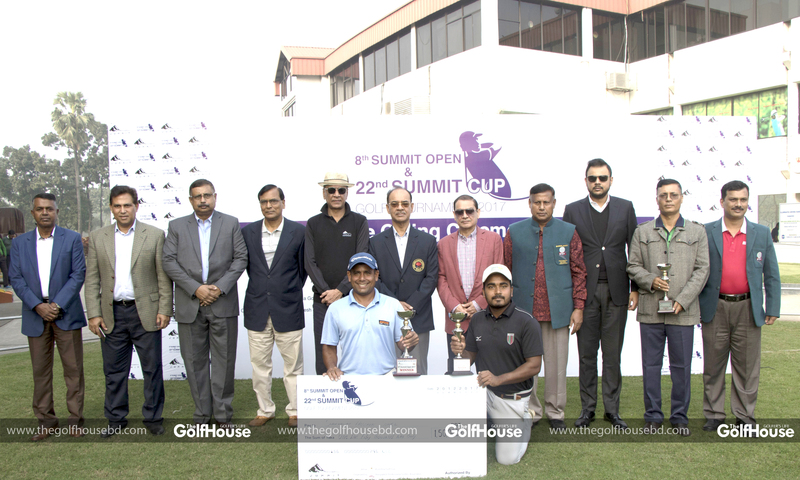 Md Sajib Ali continued to be the highest-placed Bangladeshi golfer for the second day in succession. Sajib gained one spot courtesy a 69 to be tied fourth at eight-under-136 at the halfway stage. Rashid Khan (65-66), who began the day one shot in front along with co-leader Yashas Chandra, didn’t have the best of starts as he stumbled with a bogey on the 13th after an early birdie on the 11th. However, he drained a 25-footer for birdie on the 14th to make amends. A good recovery from the trees for par on the 16th seemed to lift the 28-year-old Khan’s confidence as he went on to collect birdies in quick succession on the 18th, second and fourth. Rashid landed his tee shot within a couple of feet of the cup on the second and followed that up with a terrific third shot from 100 yards out on the fourth that stopped a foot from the hole. Khan, playing at BGCC for the first time, closed the round on a high, making birdies on the eighth and ninth, converting a 20-footer from off the green on the latter. Rashid said, “It was an up and down day for me. I’m glad that I finished well with those birdies at the end. I was not feeling very comfortable at the start of the round as the wind kept switching. I was missing fairways by just a little bit at the start and as a result had to then focus on placing it well. “The birdie on the fourth was very crucial. It was my best birdie of the day as my near-perfect lob wedge shot from 100 yards set up a tap-in. On the last hole, I thought I’ll look for a two-putt for par from off the green but fortunately my putt found the hole. Eighteen-year-old rookie Kshitij Naveed Kaul’s 66 propelled him from overnight tied fifth to second place. Kaul made an eagle-birdie start from the 10th to set the tone for the day. He drove it just short of the green on the 10th before chipping-in for an eagle-two. Another good drive and an excellent chip earned him a birdie on the 11th. Kshitij then dropped a stroke on the 13th before rallying with four more birdies thereafter by landing it within four feet on all occasions. India’s Honey Baisoya produced a second straight 67 to be placed third at 10-under-134. 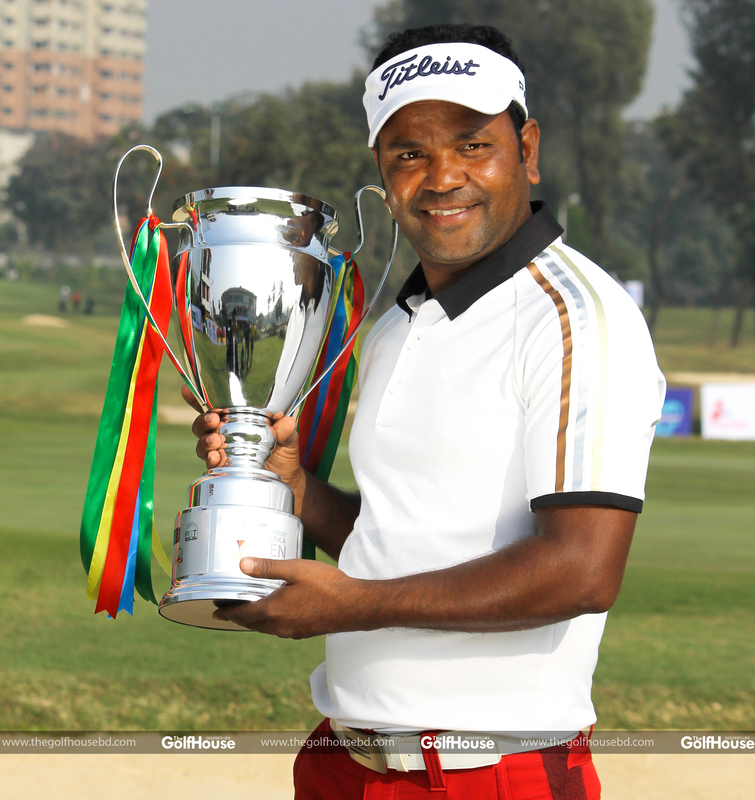 Bangladesh’s Md Sajib Ali (69) shared fourth place with Indians Shamim Khan (68) and Mukesh Kumar (69) at eight-under-136. Round one joint leader Yashas Chandra of India slipped to tied seventh at seven-under-137 after a round of 72. 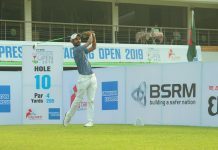 Sri Lankan Anura Rohana, who struck a hole-in-one on the second during his round of 65, also took a share of seventh place along with India’s Yuvraj Singh Sandhu (68). Defending champion N Thangaraja of Sri Lanka was in tied 22nd at three-under-141 while Md Zamal Hossain Mollah, one of Bangladesh’s top golfers, was tied 40th at one-over-145. The cut went at two-over-146. Fifty-five professionals made the cut.